After viewing David Kelley on Human Centred Design, there are a number of reflections that can be made about the role product design can play in both enriching the lives of their human users as well as providing objects and services that can aid to move sections and ideas of humanity forward. 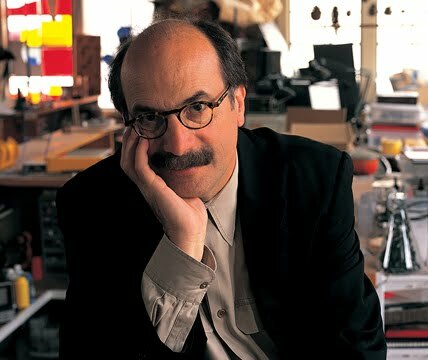 What really struck me about David Kelley's approach to product design was the care and attention to detail he took in ensuring a strong connection between the user or consumer and the product and furthermore the conduit he was attempting to provide between the user and the overall end outcome. The Prada store is a good example of this - his product is designed to be unobtrusive but rather to provide a pathway to a pleasurable commercial experience through intelligent design of the store's human interface. The methods he uses to try to understand how the product will be used and how the human user will react to it are shown by the use of video "experience prototypes" to show and understand the "man-machine relationship". He attempts to engage with the full scope not just of the product but the entire environment it will be used in and the sentiments and ideological pleasures that surround it - the retail experience, retail therapy, "shop till you drop" ideas considered in the experience of the Prada store is evidence of this. The all-encompassing linked technology allows for this experience to be enjoyed throughout the full retail experience, from choosing the clothing item, to trying to on, to your eventual choice on a product. Close attention to detail allow a fully immersive and highly receptive retail atmosphere. In the longer term the client is given a better experience because Kelley's system gives insights into how the client can be served better in the future. The Prada store I thought was his outstanding product of the video, certainly for showing his intent to design a product that is well designed for human interaction and that can be part of an experience. Kelley was part of this project to create an interactive wall in the London Science Museum where user input is converted to a train-like light show on a four-storey wall, and there the information can be shared with the other patrons of the museum. A sort of joke project where the idea of how to make a work space more enjoyable. Not necessarily completely serious design went into it, but still came up with some interesting ideas of how it could be improved. I'm not sure an employer would appreciate a hammock inside your workspace, nor a flower that droops. But the focus on the human user is again evident in the mind of Kelley and his team as they go about the reconstruction of the cubicle. Kelley was responsible for the interaction between the plant and human visitors in the form of a quiet reflective space where users could learn about the water treatment plant at their own pace while actually surrounded by working machinery. A human-controlled underwater camera where David Kelley was responsible for designing the human control and interface as well as the technological aspects of the product including a cable that was invented specially for the application.